Dennis Crowley, co-founder of the groundbreaking location-based mobile startup, Foursquare, earlier this week recalled the urge to give his interest in location-based services another go after his startup Dodgeball was bought by Google in 2005. But he knew that developing a mobile app meant courting a lot of heartache: endless versions for numerous devices, fees to get certified by carriers and ultimately no sure way to distribute the apps. It was worse than the Wild Wild West, he said in an interview with GigaOM this week, explaining his reluctance at the time. But then something changed: the iPhone. The iPhone only offered web apps when it debuted in 2007. But the powerful hardware and unique user interface lit a fire of demand among developers for a software development kit. Apple (s aapl) obliged a year later and also introduced the App Store, kicking off the modern mobile app era. That market is now worth $8.5 billion and is expected to grow to $46 billion in 2016. As we celebrate the five anniversary of the iPhone’s launch on Friday, the true impact of the device can’t be measured without talking about the era of mobile apps it spawned, creating success stories like Instagram (s fb), Angry Birds, Foursquare and many others. Suddenly, “apps” became an easy way of understanding software, opening up opportunities to thousands of eager developers who could sell directly to a fast growing base of users. And that has in turn changed the way people compute, weaning them off of PCs to smaller devices: first smartphones, and now tablets. Apple’s App Store now boasts 650,000 apps, including 225,000 for the iPad. Apple users have downloaded 30 billion apps from the App Store, generating $5 billion in revenue for developers after Apple’s 30 percent cut. To be sure, there were mobile apps prior to the iPhone, but they were either found on third-party app stores or they were controlled by carriers, which chose which apps got to appear on phones sold for their networks. That market was so quiet, it really didn’t attract a big community of developers, said Ge Wang, the co-founder of music app maker Smule. But he said the combination of the iPhone’s great hardware, the SDK and development tools, a critical mass of users and the distribution power of the App Store suddenly opened a lot of eyes, from experienced PC developers to newbies excited at the possibilities. They quickly realized they could make a new form of portable and casual software that addressed the mobile lives of users. 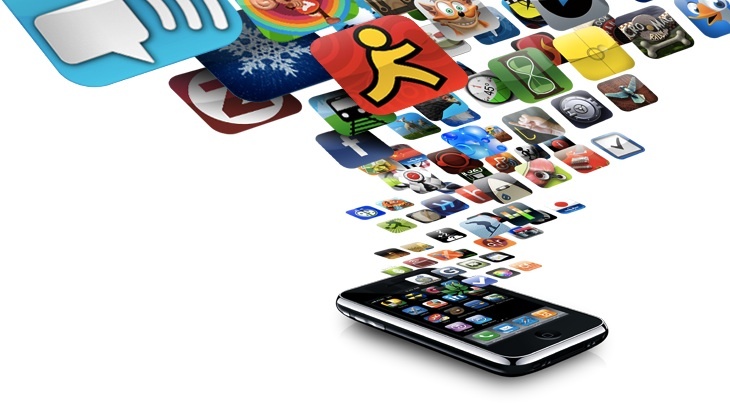 Apple’s App Store isn’t the only marketplace for mobile software. Android (s goog) also launched in 2008 and introduced the Android Market, now renamed Google Play, which now hosts 600,000 apps with more than 20 billion app downloads. The mobile app market earlier this year eclipsed 1 million apps overall, with platforms like Windows Phone and BlackBerry struggling to catch up. It’s hard to quantify the exact impact of the mobile app market but according to one study, 466,000 jobs were generated by iOS, Android and Facebook apps. TechNet, a technology group, reported that 311,000 app-related jobs were created and another 155,000 jobs were indirectly created from the app boom. Whether that’s completely accurate is difficult to know but the impact has been dramatic, said Marco Arment, the former Tumblr CTO who built Instapaper into a profitable company. “The App Store has made it very easy for far more developers than ever before to make a living by working independently,” Arment told me. And it’s also spawning a new market for app developer services, everything from app discovery, monetization and distribution to back-end support, retention tools and analytics. 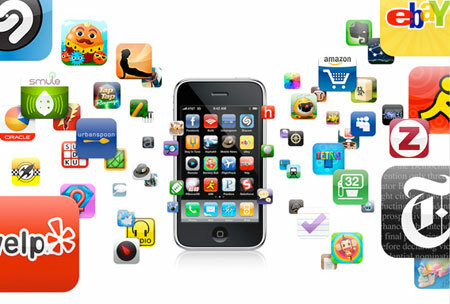 Advertisers have also found a new way to reach consumers via mobile ads in apps and on mobile websites. eMarketer expects mobile advertising revenues to hit $1.8 billion this year and will grow to $10.8 billion by 2016. “The growth of the app economy has given marketers new environments to engage their target audiences, and mobile advertising has become the growth driver that enables developers to monetize and further grow the ecosystem,” said Matt Gillis, SVP of Global Monetization Solutions for Millennial Media. The whole app era has also changed the way people approach the Internet. Increasingly people are spending more time in connected apps than in a browser, using dedicated commerce, search, entertainment and news apps to do what used to take place in a browser. App analytics firm Flurry noted that earlier this year that people are spending an average 94 minutes in apps a day compared to 72 minutes in a mobile or desktop browser. Apple didn’t just help create the larger mobile app market, it also helped shape what users have come to expect from a mobile app and an app store. That leadership role, along with a great store, stellar hardware and the returns developers see from investing in iOS, has helped keep developers loyal to iOS over Android and other platforms. Even now, iOS holds a 3-1 advantage in revenue for developers over Android, making it the primary platform for the development for most developers. That has helped fuel sales of the iPhone and iPad, which are known for the quality of their apps. And over time, the investment people make in apps for the iPhone and iPad also serve to lock-in many users into the platform. The iPhone is now being outsold by Android, which is also closing the gap on Apple’s app lead. Microsoft (s msft) and Research in Motion (s rimm) are also still trying to compete by touting their developer ecosystems, although they might be moving in different directions. All are trying to recreate the success Apple has had with mobile apps because they realize the truth Apple brought to light. The modern era of mobile computing has been defined by software, not hardware. Ki-Mae Heussner contributed to this report.